At RPM Law, family law and criminal defense clients in Pima County and surrounding areas can expect attentive advocacy for a variety of important legal needs — and direct personal service that gives you peace of mind. Is a contentious child access issue delaying your divorce? Is a serious criminal offense endangering your freedoms and future? Is a speeding ticket or DUI arrest threatening the status of your commercial driver's license? 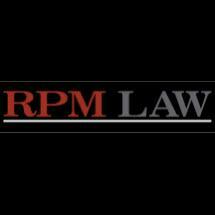 For these and many other critical situations, RPM Law, can help. Contact us to ensure that you receive quality family law and criminal defense legal representation as soon as possible. Free initial consultations can be arranged by phone or email message.